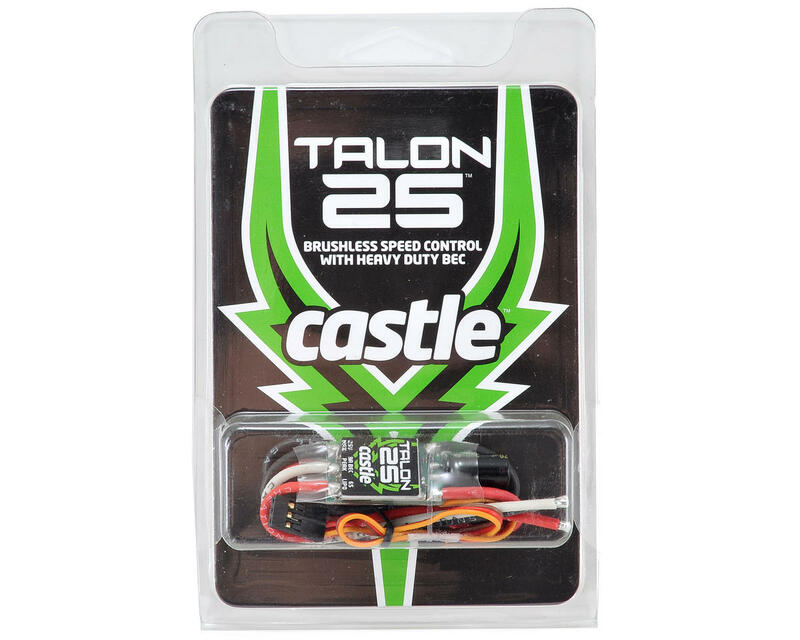 This is the Castle Creations Talon 25 Brushless ESC. This compact controller can keep it’s cool even during the most extreme 3D maneuvers. Talon 25 is intended for use in most 400-size helicopter setups running up to 6S LiPo or your favorite 3D foamie that pulls up to 25 amps. Despite it's size, it boasts an impressive 8 amp peak/3 amp continuous BEC, keeping even the most draining servos at ease. 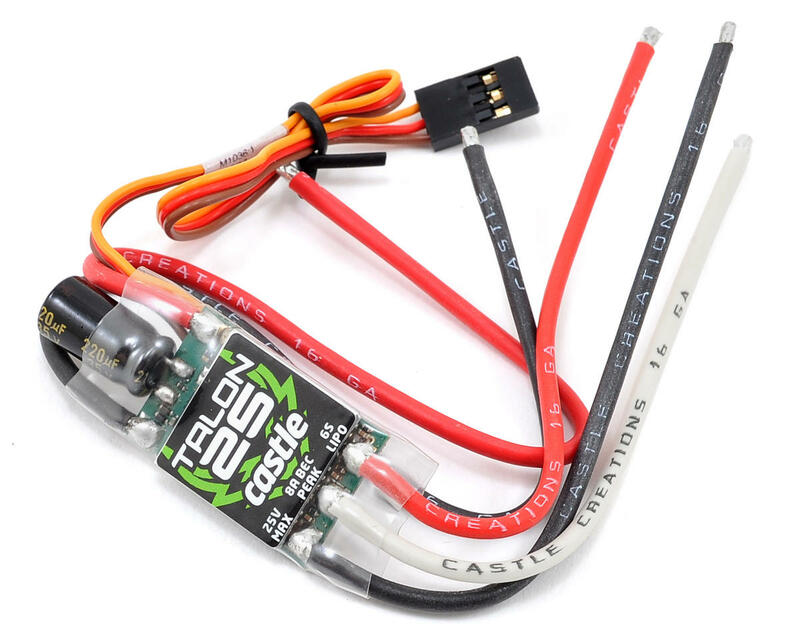 Talon 25 also offers Castle’s industry-leading helicopter functions, not to mention easy programming using the Castle Link USB adapter (coupon for free Castle Link included). Talon 25 tips the scales at a mere 18 grams!